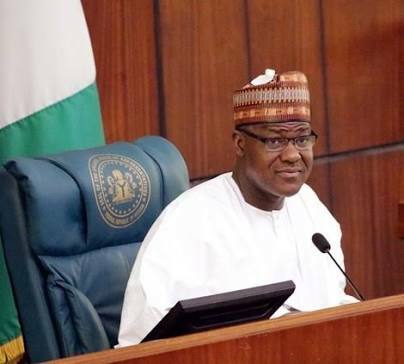 Turaki Hassan, Abuja: The Speaker of the House of Representatives, Hon Yakubu Dogara, has disclosed that the parliament will not condone diversion or abuse, in whatever guise, of the N350 billion natural resources funds to areas that are outside its core mandate. Speaking in the National Assembly, at the investigative hearing of the adhoc committee on the Utilisation of N350 billion natural resources fund and a financial window for the development of the solid minerals sector and the need to ascertain federal government’s investment and proceeds from solid minerals and steel development, he added that the House of Representatives will recommend the blue print for rapid increase in revenue generation in the solid minerals and steel sector. Adding that the objective of the fund which was dedicated to the development of natural resources to promote economic diversification, enhance employment and income generation, and improve the socio-economic living conditions of Nigerians for sustainable national development, must be utilised, he stated that the drastic decline in the revenue from Solid Minerals and Steel sector as a result of corruption, illegal mining, institutional failure, diversion of funds meant to develop solid minerals and steel, connivance of public/ political office holders with private developers, non-remittance of taxes, fees and royalties by the operators, etc must be brought to an end. “It is a common impression of the citizens of Nigeria that solid minerals alone can solve the problems of unemployment in Nigeria. Countries less endowed with solid minerals such as South Africa has successfully sustained their economy through proceeds from the sector. Nigeria therefore cannot afford to continue the neglect in the sector. “Although there is a weak legislative frame work on the administration of the Natural Resources Fund, the Executive Order which is the bed rock of the Natural Resources Fund composed by Revenue Mobilisation, Allocation and Fiscal Commission for the establishment of Natural Resources Fund centered on the diversification of the economy by developing sources of revenue other than oil and gas. “The essence of this Ad-Hoc Committee therefore is to ensure the utilisation of Natural Resources Funds strictly in accordance with the declared objective.The House of Representatives will not condone diversion or abuse in whatever guise of the Natural Resources Funds to areas that are outside its core mandate. “I understand that most of the invitees here today are directly or indirectly involved in the utilisation of Natural Resources Funds. Available records show that over Three Hundred and Twenty Billion Naira (N320B) of the Natural Resources Funds was utilised as loans to the Federal Government of Nigeria, States, MDAs and some cases; private firms most times for matters unrelated to natural resources. This practice is unacceptable and most be corrected, I charge this Ad-Hoc Committee to use all available Legislative Powers to recover the funds that are utilised illegally. “In addition, the Committee in line with the resolution of the House should come up with recommendations to safe guard further misappropriation of Natural Resources Funds and also recommend an appropriate legal framework,” the Speaker charged.